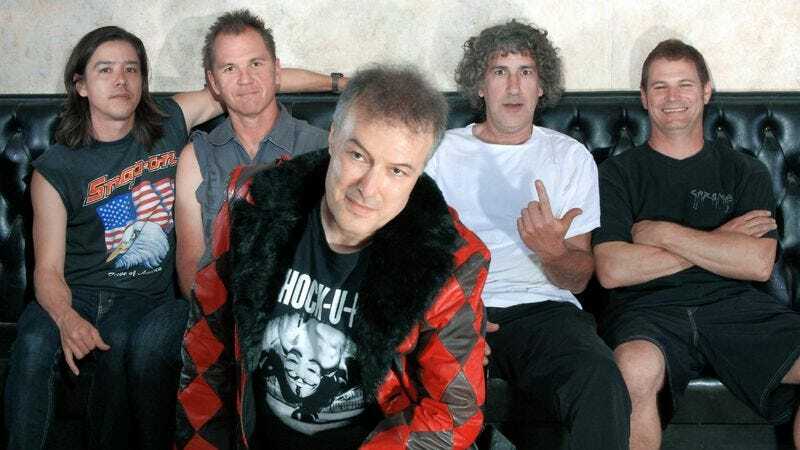 Dead Kennedys singer and political activist Jello Biafra has a new record with his band, The Guantanamo School Of Medicine. White People And The Damage Done is Biafra’s first concept record since the Kennedys’ 1985 record Frankenchrist, and is out April 2 on Alternative Tentacles. A “lobotomizing cannon of a record that attacks corruption, corporate McMedia making pop stars out of small-time crooks to shield the big ones, or tabloid stars to lobotomize everyone else,” the record should fit in quite nicely with the rest of Biafra’s canon. Judge for yourselves, though, by listening to an exclusive new single, “Road Rage,” below. The band is also touring this spring.